WELCOME to my themed Inktober 2018!! 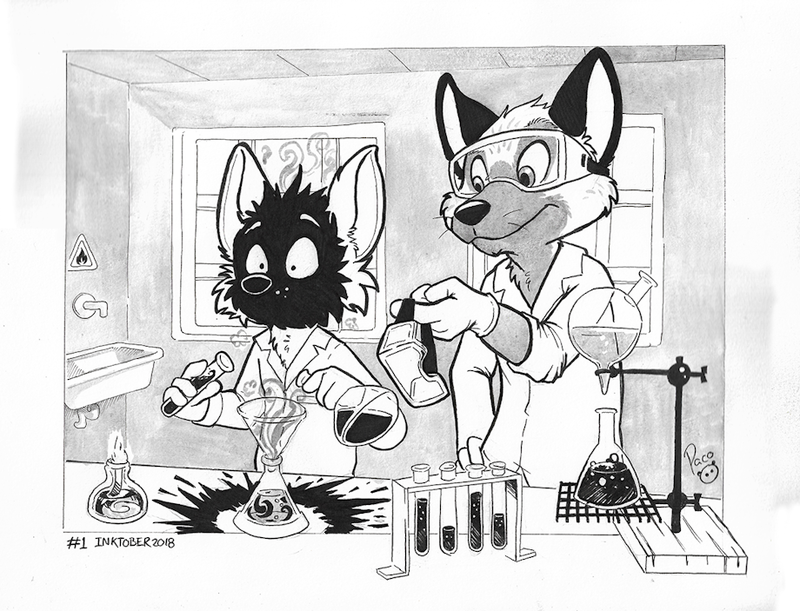 Not using goggles in the laboratory, that's completely Not Safe For Work!! Always use them, specially if you are doing explosive experiments. Indian inks + black markers. That's some HOT NSFW action, oh yeah exothermic reactions are the best. gah this is so cute! I love it! Oops...Someone should have been paying attention during science class. haa! i get it! this is gonna be a fun theme for inktober! This is on its way to being a great month! 'cause let me tell you—those eye wash stations don't help at all.